Harsh Wardhan has rendered bansuri performances at various major Music Festivals in India as well as abroad. He has performed in Austria, Belgium, Cyprus, France, Germany, Hungry, Italy, Netherlands, Poland and Switzerland. He also conducts regular bansuri workshops in France, Germany and Belgium. He also has an album to his credit, which was released in 1992 from Zurich, Switzerland. 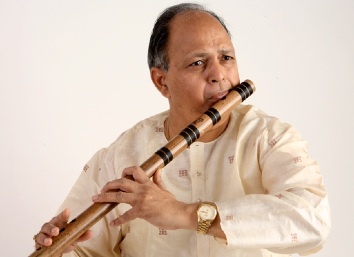 He regularly performs bansuri recitals for All India Radio and Doordarshan T.V. at National level. Harsh Wardhan has been studying North Indian Classical (Hindustani) music with such great masters as Shri Prakash Saxena, Shri Prakash Wadhera, Pt. V.C Maudgalya and Shri Vasant Thakar. Furthermore, he is one of the few who share their art with others. He has been teaching the art of playing the Flute for years together; earlier at the Gandharva Mahavidyalaya, the biggest Music College of India, and now with his son Vishal Vardhan, at his own International Bansuri Academy, since 2004. Musicians from all over the world come to Delhi to learn the nuances of bansuri and Hindustani music from him. He has taught Flute at the World Music Department of Rotterdam Conservatorium in the Netherlands as a Visiting Guest Teacher from 1990 to 1992.